Plants have a 4-stage lifecycle. They begin as a seed, and then grow roots, stems, and leaves. Most of them flower, before returning back to seed. Brooks & Collier professional lawn and garden specialists help you determine what plants will work best in your indoor and outdoor living space. The growing environment and the climate can affect the lifecycle, but whether a plant is an annual, biennial, or perennial, determines how a plant evolves throughout the lifecycle. 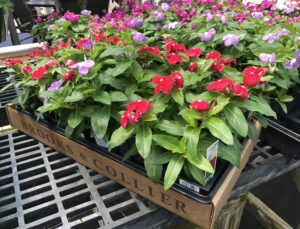 Some of the most popular annual flowering plants that thrive in North Alabama — that is, they complete a full lifecycle in a single growing season — are petunias, impatiens, marigolds, cosmos, zinnias, and snapdragons. Often, annuals re-seed and come back the following spring, leading gardeners to mistake them for perennials. Annuals are popular because they are hearty in full sun, and they bloom quickly and vibrantly. 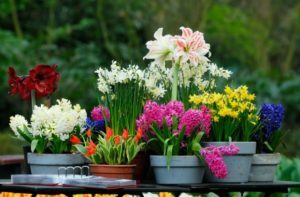 Popular because they grow deep roots and grow from burrowing bulbs that can stay in the ground year round, perennials come back stronger every year, reseeding or sprouting from their bulbs for several years. Some even continue to propagate throughout a long, hard winter season, and others may go dormant, only to bloom again in the spring. Perennials often act like annuals in warmer environments. There are many popular perennials such as gladiolas, delphiniums, irises, lilies, peonies, and tulips.